Coffee is a daily necessity for many of us. But where did this beautiful, aromatic bean come from? Who found it and thought to even boil it in water? Let’s have a look into the history of coffee. The story goes like this: A man named Kaldi, an Ethiopian goat herder, discovered coffee plants while looking after his goats. The myth goes on to state that Kaldi saw his goats hyperactively dancing after eating the Coffee plant berries. Confused by this discovery Kaldi proceeded to take the ‘beans’ to the local monastery. The monks quickly dismissed Kaldi’s theory of this “magical bean” and threw them in a fire. After smelling the aromas it let off, the roasted beans were gathered up and quickly put in hot water. Effectively this was the first cup of coffee to ever be produced. The word quickly spread across the land and throughout the Arabian Peninsula. In the mid-14th century, coffee cultivation reached Yemen and for 300 years it was drunk following the recipe first used in Ethiopia. The climate and rich soil in Yemen offered the ideal growing conditions. Coffee was soon a big hit in Istanbul and by the 15th century coffee houses began to form. Coffee houses soon became a large part of the social culture and the word quickly spread all over Europe. 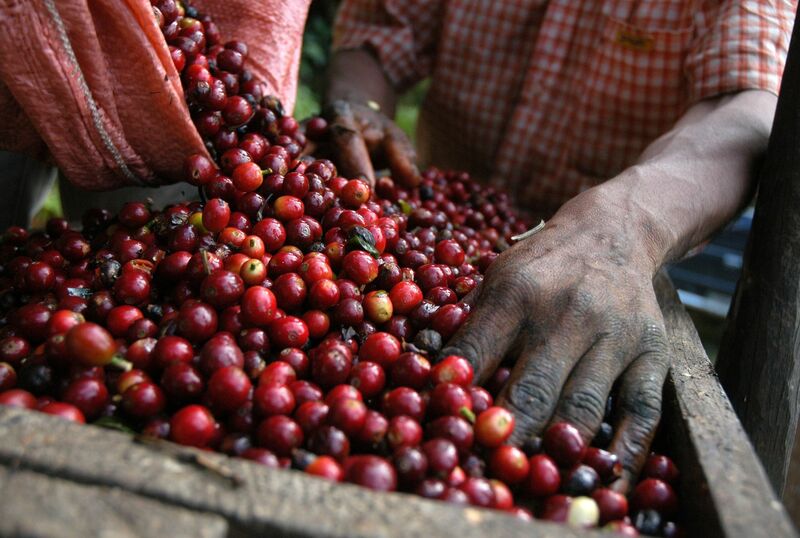 By the 17th Century coffee was growing all over Asia and North Africa, and was now a big part of everyday society. Today, it is thought that over 400 million cups of coffee are drank daily around the world, that’s a lot of coffee! Here at The Coffee Delivery Company, we offer a range of different coffee brands and strengths to suit everyone’s needs. For more information on how to get your hands on our coffee machines and pods head over to our website or call one of our friendly customer care team on 0330 123 3309.